I've never really thought of August as being a great month for birding. I mean, I know there's no bad month for birding, but at first glance it doesn't seem like there would be much going on in August. 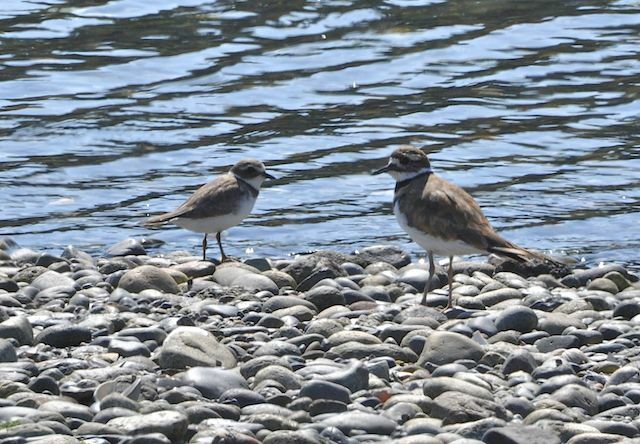 The breeding birds are long past the courtship phase and thus have returned to their more cryptic ways, and the fall migration has yet to really get going. Regardless, the birding this month has been awesome! Not only are there fledged young of all species out and about, but the weather has finally been great, and the first of the fall migrators - some of the shorebirds - have been showing up. Every time I go out I've been seeing something cool! 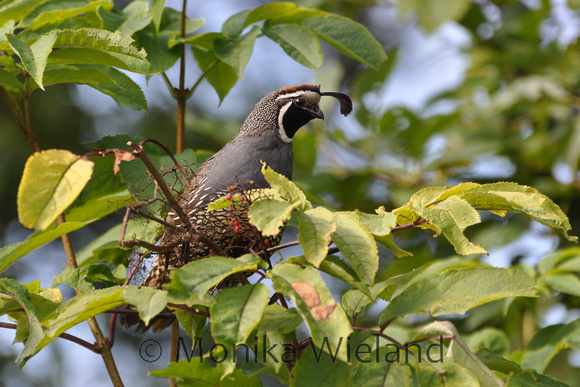 A little further on, I found a California quail sitting in a bush. This is a species that's always eluded me photographically, so I was especially thrilled to get a photo like this! 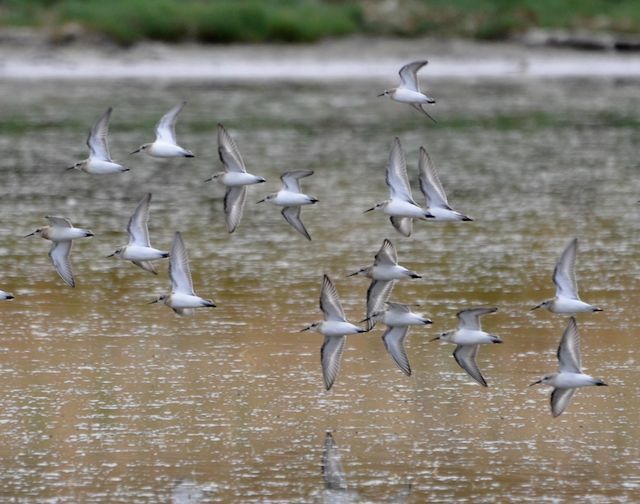 Down at American Camp, I went looking for and found some of the red-necked phalaropes (188) that are migrating through. 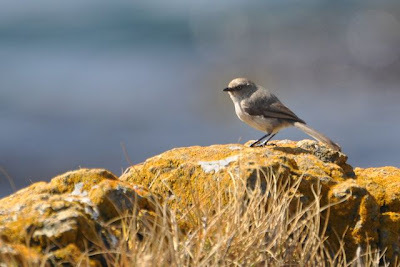 I was surprised when a flock of bushtits joined me on the rocks by the shoreline. 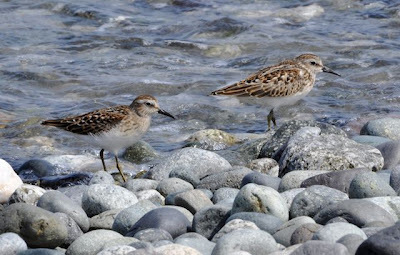 There has been a lot of shorebird activity at Fourth of July Beach, with lots of least and western sandpipers and some greater yellowlegs hanging out. 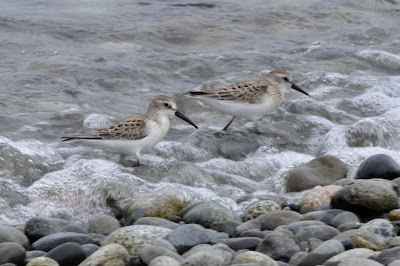 With many shorebird species looking so similar, and all the various plumages within a species given winter/summer and juvenile colorations, I spent a long time trying to figure out just what species I was looking at. Today I stopped by Jackson Beach to check out the shorebird activity. 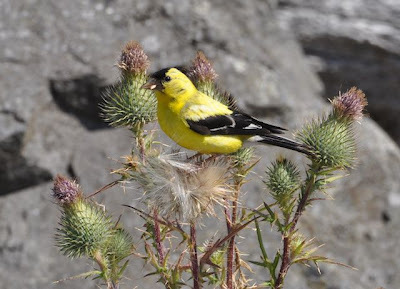 The first thing I saw when I stepped out my car, however, was an American goldfinch feeding on their favorite plant: thistle. I wonder what the rest of the month will bring?? Great fun! I need to find time to join you again. It looks like you went back and got some much better pics of the shorebirds and worked out your id's to perfection! I encourage you to learn their calls because you can catalog an entire flock even if they are too far or too fast for binoculars/camera. Its really helpful for finding something unusual without having to visually comb through each individual in the habitat. Hey, any chance you can add my blog to your blogroll? As always, beautiful pictures! Thank you so much for sharing! I love that you know what the animals are and can identify them. 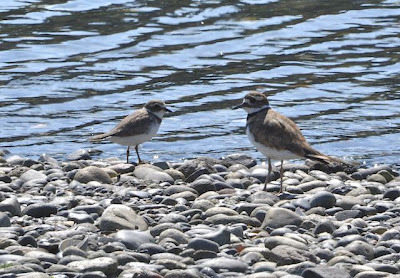 Hi Monika, looks like you had a great birding day. Love all the photos, especially the quail. What a cool sighting. Dave - Indeed he is! Mark - I did go back and take another look to confirm the westerns, but I'm still not convinced there wasn't some other species in there. Learning the calls is a good idea, I'm going to start working on that. And are you referring to the Sea Quest blog? If you have another one let me know! I'm going to update my blog roll soon and I'll make sure yours gets on there. 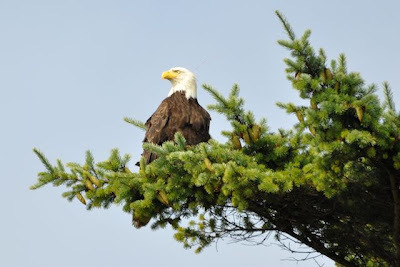 Eileen - It's sure been a great month for birding! I see the quail often but this was my first good opportunity to photograph one.